Lake Length 4 miles in length with 10 miles of water through river to two other lakes. 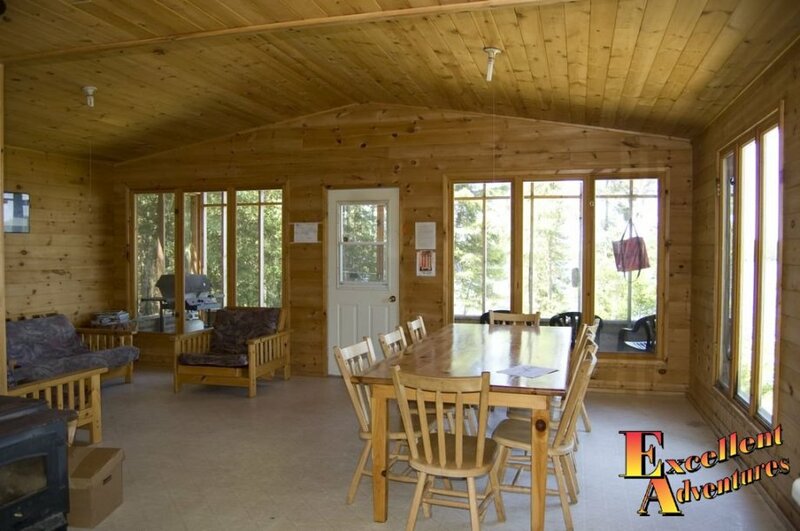 Beautiful cabin overlooking Papaonga lake featuring exceptional walleye and northern fishing. 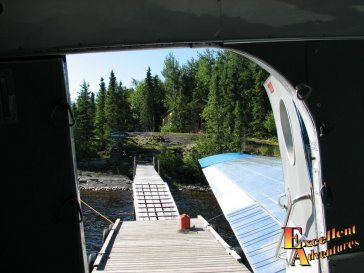 Papaonga Lake Fly in Outpost Cabin. 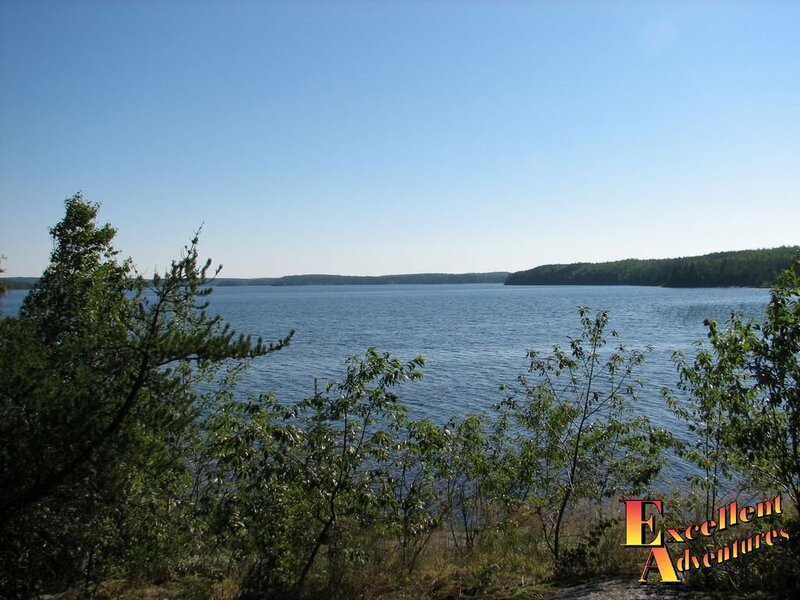 A scenic lake with an abundance of beautiful blue Walleye and Northern Pike. This luxury outpost is fly in access only. 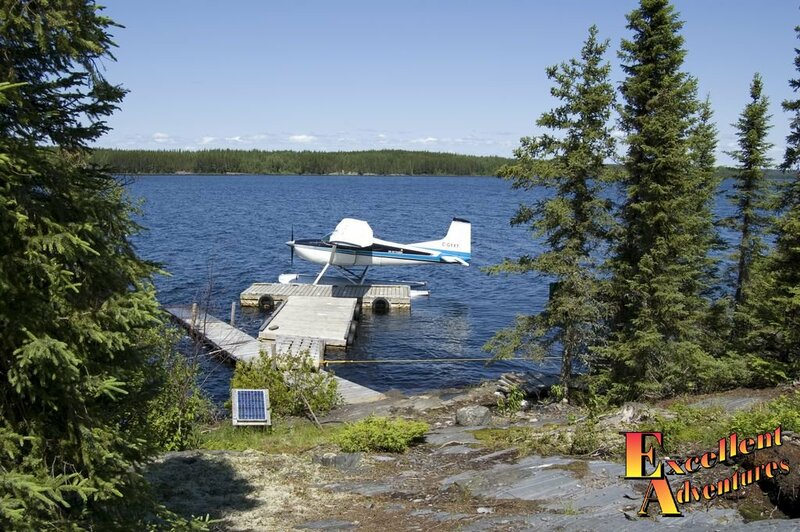 50 miles northeast of our base camp near Red Lake, Ontario. First view of your remote fishing camp! 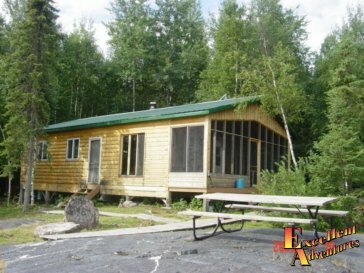 Papaonga Lake Outpost is a three bedroom frame structure fly-in Outpost Cabin with knotty pine interior. 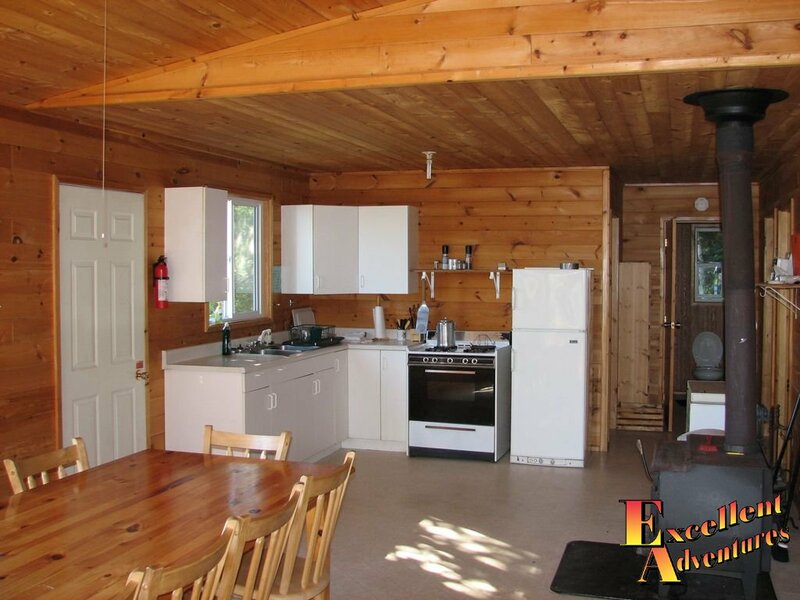 There is a full kitchen with fridge, four burner stove, freezer and everything for your cooking and eating needs. This fly in fishing cabin has a modern bathroom with an indoor shower and an indoor composting toilet. The futon couch and chairs in the sitting area are the perfect place to relax and recount the days adventures with each other while enjoying the gorgeous sunset across the lake. 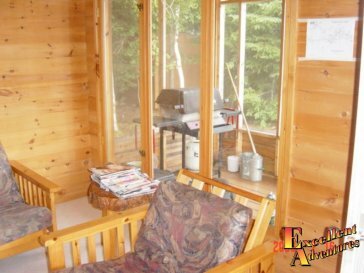 Papaonga Outpost is a Fly in Fishing Cabin With Indoor Toilet, also including many deluxe features for large groups up to 16 people. 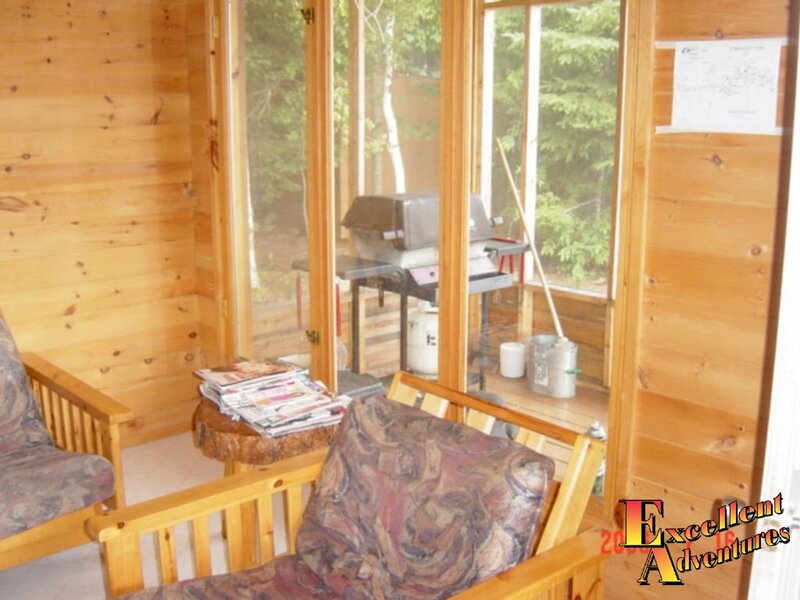 Handy gas grill and fish cooker are located on the porch for more enjoyable outdoor summer cooking. 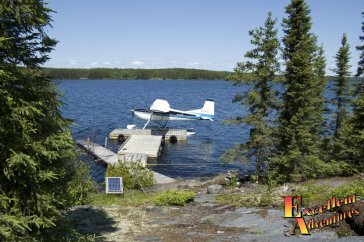 Around the corner from the cabin you will find your own private beach. 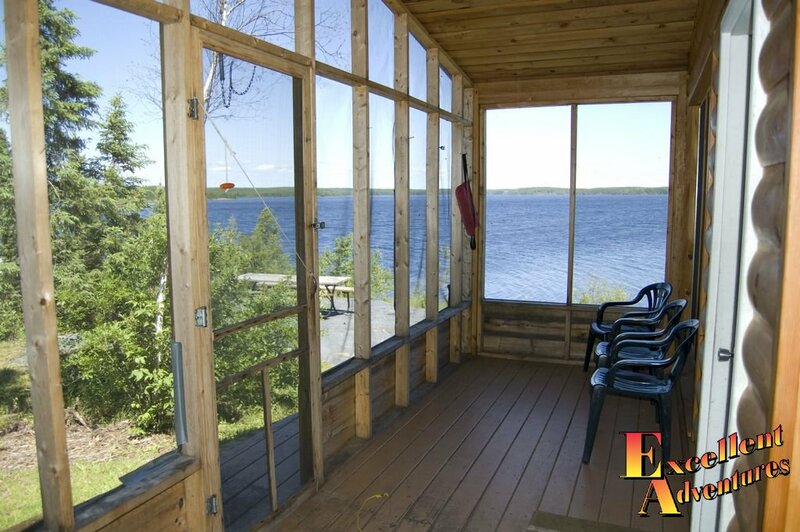 Down by the lake there is a screened in fish cleaning house, where you can clean your catch of the day for supper. 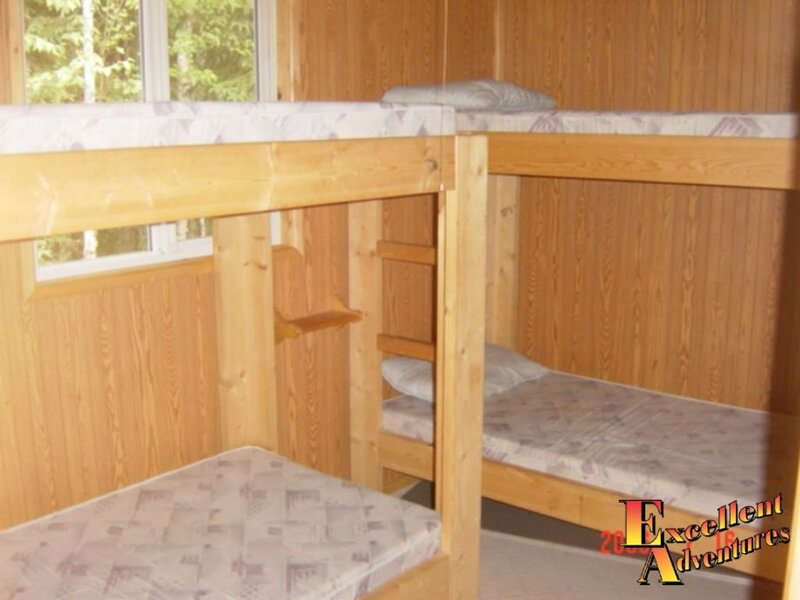 With all these conveniences, Papaonga is the perfect place to bring your family. 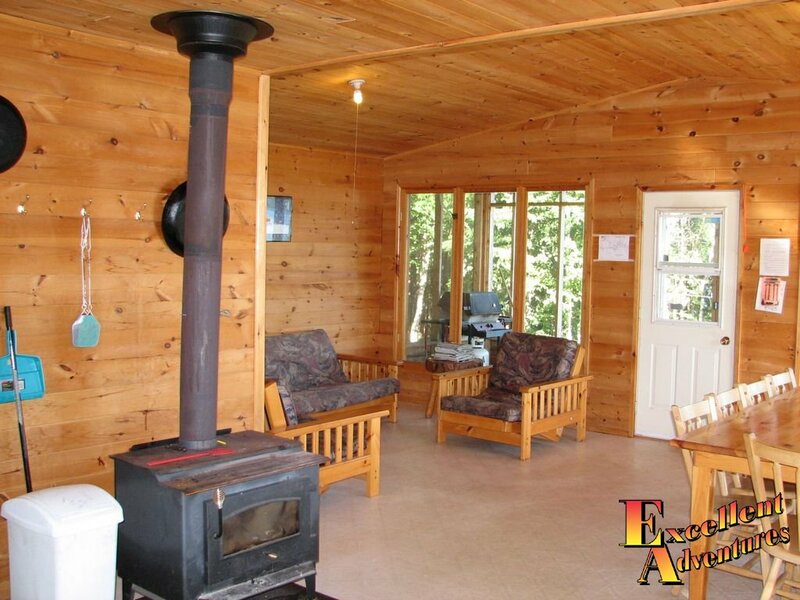 See more Papaonga Lake Outpost Cabin Pictures. 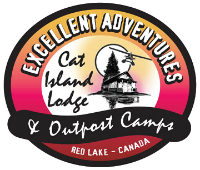 Located 50 miles northeast of our base camp. 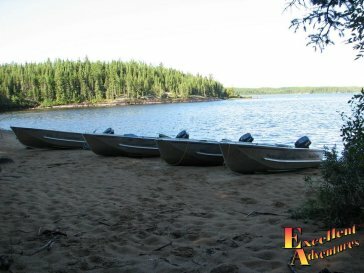 Great structure, bays and reefs perfect for catching many rare and beautiful Blue Walleye. Troll through it’s many weed beds or explore the extensive river system to latch on to one of it’s trophy northern pike. Papaonga BIG FISH Photo Gallery! 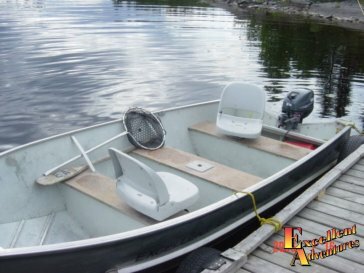 See our suggested list of what to bring on your fishing trip. 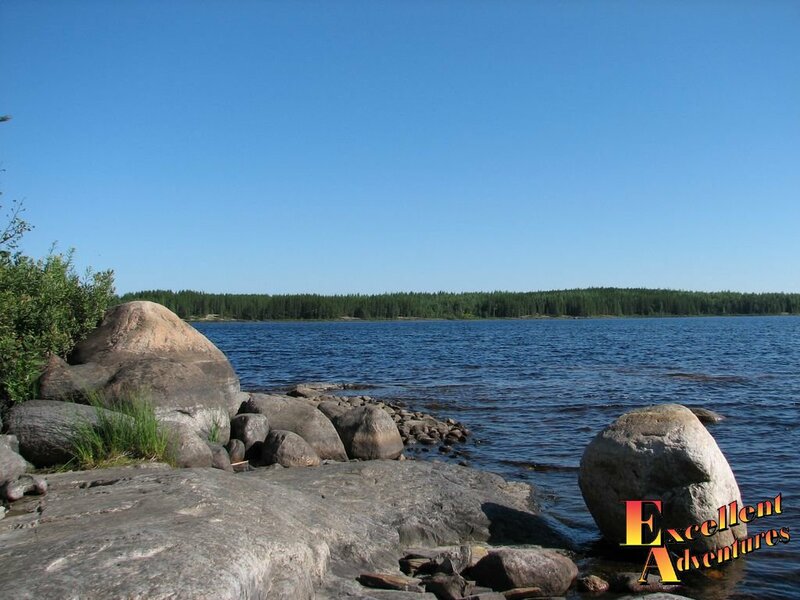 All you need are food, fishing gear and personal items! 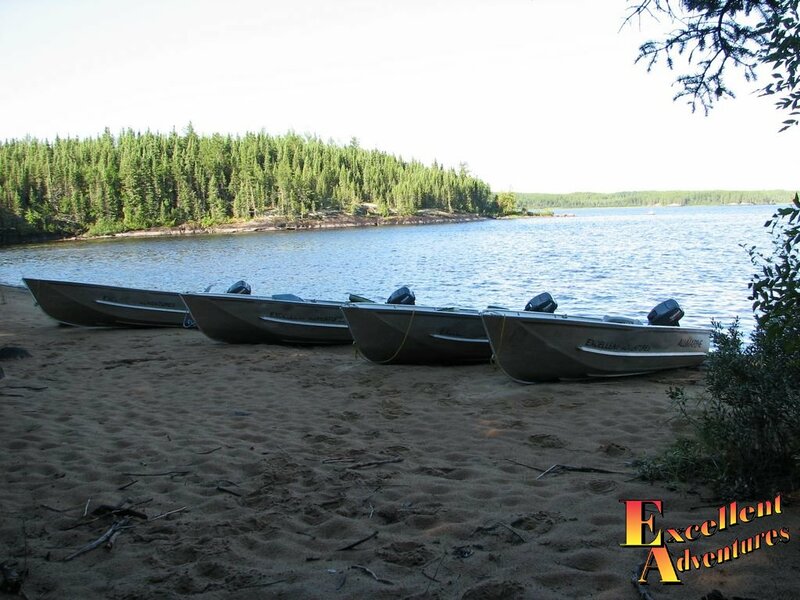 Everything else that you need to enjoy a fabulous fishing trip awaits you there. 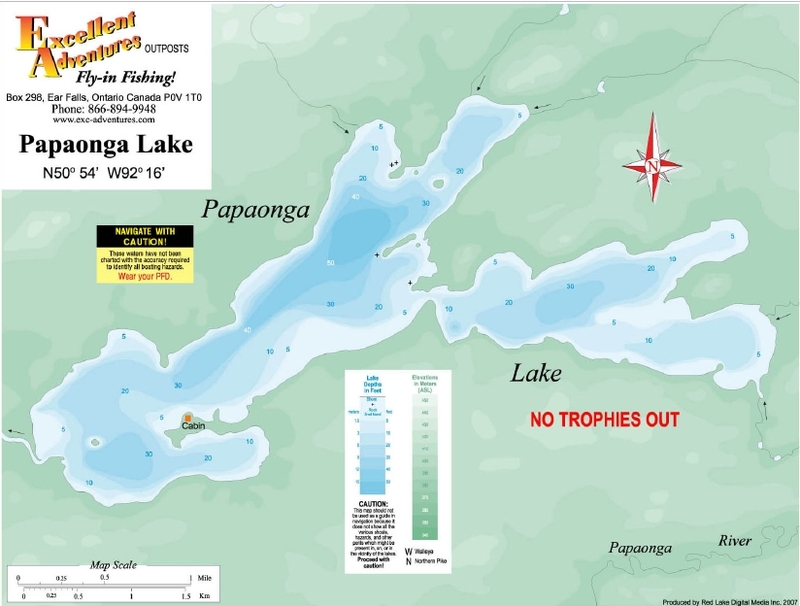 To ensure the very best walleye and northern pike fishing for years to come, Papaonga Lake has a conservation policy; No trophy’s out of the lake (Catch, Photo and Release). After years and years of conservation – our selective breeding is paying off! 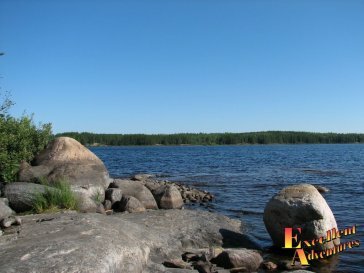 For numbers and size of fish, this lake just can’t be beat.